From September elk to January mallards, the Men's Kiln Boot Top is our do-it-all bottom. The 3/4 length successor to our best-selling Allegheny, this piece is constructed of Midweight 250 Merino-X fabric for improved structure and durability. Perhaps the most versatile baselayer component within the First Lite system, the Kiln Boot Top simply cannot be beat as a baselayer bottom for any outdoor enthusiast. This piece can be your first or second layer and will keep you comfortable and odor free from September through April. If you're looking for a true ace-of-spades in your layering system, look no further. 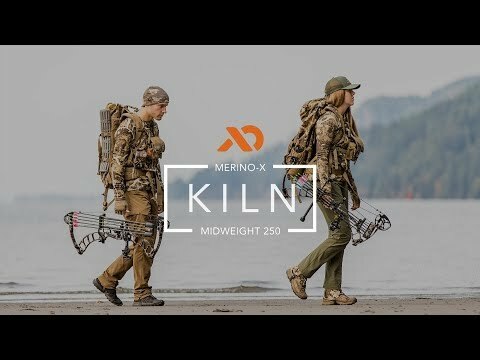 The Kiln Midweight 250 Merino-X fabric utilizes ultrafine, 18.5 micron merino wool in a high loft, interlock knit to create styles that surpass expectations in the broadest range of temperature and weather conditions. Blending a small component of spandex into this knit, these lofted interlock pieces can withstand extended hunts in the field, regardless of the season. The Kiln midweight 250 Merino-X is also available in a men's Men's Boxer Short, Quarter Zip Top, and Crew Top. The kiln boot top bottom became my go to base for mid/late season hunting in the rockies of CO. I love the warmth and the feel of the material, and the fact that it holds shape so much better without bagging after days in the backcountry makes it so much more of a go to than my older versions. I still like my Glenbrook, but these are much more suitable in the later seasons. I have long been a big first lite fan and own several of their base layer sets. But I have been very disappointed with these bottoms. They are very loose fitting through out and don’t hold their elactisity at the leg openings. I’m 5’9”, 190 lbs with pretty thick muscular legs. I ordered a Medium and they are still very loose and the bottoms end up bunching up underneath my knees after a very short time. I will say that the material is soft and comfortable and the pants are warm. I just wish they had more of an athletic fit instead of being more like comfy loose fitting Capri pants. I will be going back to full length base layers pants next time. Unfortunately, First Lite doesn’t offer these in full length, not sure why. I owned the Allegheny suit, then sold it and bought this when FirstLite came out with the new version. The design change did what it was intended to do, added structure to the garment for a better fit. The old version would sag a little especially after wearing a while and become a little unstructured. 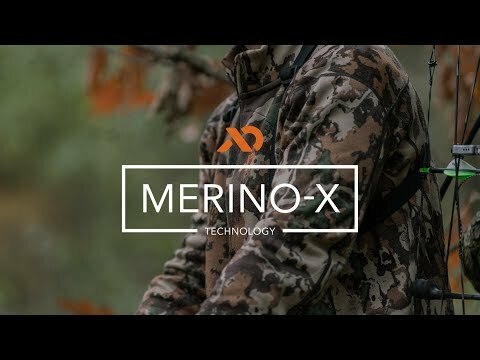 The merino X version is great, warm, soft and itch free. And I really like the chest pocket. Perfect weight for November rut hunting in the Midwest. I hunt in the deep south, and temperature fluctuations are a serious issue. It is not unusual to hunt one afternoon in 70 degree weather, and wake up the next morning to find its 29 degrees and windy. Having been convinced to go the wool route by my uncle who hunts out west, I purchased these pants for those chillier days, especially when there is a good wind. I have hunted with these, and my Obsidian pants on several very cold mornings (25-30 degree days) and I have found them to be a tremendous combination. The Obsidian pants alone are comfortable in lower temps, and while these are not wind proof, they are so warm when combined with the pants, I find they are perfectly suitable for that temperature range. I would highly suggest these to anyone who hunts public land in the deep south as a light and packable option to slip on having walked to the stand! Pants are very soft and warm. I love the length of the pants a lot better than standard thermals. The boot cut eliminated the hot, sweaty uncomfortable bunching you get around your heavy winter boots and socks. I think this makes my feet warmer, especially when I have a hike into the stand. When it gets really cold (below 20 degrees with significant wind), I will add an additional fleece layer between this and my Sanctuary bibs. What I like most is the sheer comfort and excellent fit of this piece. It fits snugly but doesn't constrict in the slightest. It feels like I'm wearing nothing at all. Fits me perfectly as a taller guy with an athletic build but a few extra pounds here and there. Don't get me wrong - this is another great piece of gear from First Lite. Unfortunately I removed the tags and had to roll with it even though the fit is way off. I ordered and XL. (I order all of my clothes in XL.) My Charma shirt and Allegheny bottoms are both XL and fit great. The Kiln bottoms in XL seem ENORMOUS! I damn-sure haven't lost any weight! Droopy-drawers to the point of having me wondering if they were XXL or larger. Big disappointment that I can't return at this point. I'll make due with a bit of extra base layering and a good belt! Fit seemed WAY off for XL. Billowing-sail-enormous! Fits perfectly, not too tight and not too loose. It keeps me warm and it feels like the sweat almost evaporates when you walk in. I will no longer buy UA products or anything similar. First lite has earned my business for life. Would recommend this product to anyone. Fits me perfectly. Not too tight and not too loose. The boot top cutoff is money as I do not like my underlayer also going into my boot. This is the best bottom layer and will cover you from those first cool mornings to later season mornings under a heavier pant. Pair these with a longer sock like the Mountain Athlete Compression Sock for a great base layer combo. Needed something a little lighter to pair w/ my guide pants. Great for active hunting on cold days where maintaining an even temperature is key. Tall socks up to the top keep ya' warm when you need it. These are great for guys who wear rubber boots or tall socks. They feel great and look forward to wearing these in the stand and also under waders in the swamp! These are my favorite pair of “long john’s”. I typically don’t wear base layer bottoms until late season because I get too hot. The 3/4 length is great cause it’s gives warmth where needed, it pairs well with the long Firstlite socks, and you don’t have to try and tuck them into boots if you wear 8” or higher boots. Softest merino I’ve felt with great wicking, and temperature regulation. Fit is great. Not a compression fit but they fit snug. You barely notice they are on because they just barely touch your skin. Very happy with the material and fit of the Kiln Boot Top Bottom. Have used it on some high elevation (colder temps) hikes and climbs in the Alps. Will bring it to Colorado in Sep for an archery elk hunt. Also plan to use it this winter and spring for skiing. The Kiln Boot Top Bottom should allow me to have a good fit with my ski boots and my thick socks, without having to worry about crowding from a typical thermal bottom. I am so glad I picked these up. They are going to be part of my layering system on a post-rut 2nd rifle Colorado bull elk hunt. I expect the cold won't be a factor. Shipping time was super fast as always, even during a major sale. Excellence all around, as per the usual FirstLite custom. I replaced my old base layer with these this year and I'm very excited about them. They fit great and are very comfortable. Can't wait to get them out in the field this fall. I cannot wait to wear these bottoms this fall. Fits great and ought to keep me plenty warm during hunting season. the Boot top cut is the greatest invention to base layer bottoms ever! It allows me to maximise my warmth on the legs without creating that extra heat in the tops of my boots. especially nice when hunting in cold weather on the move. Never have been a merino guy but these things are awesome. Great for mid to late season. Sizing is perfect from the sizing chart. Put together really well. I’m athletic and muscular. I wear a 34 in all pants and the large fits perfect. Really loving the new Merino-X. It's really comfortable and flexible, but has a lot of rebound. I'm assuming it'll be at least as effective as a base layer as the old wool was and really looking forward to putting it to work in the stand and the fields this season.